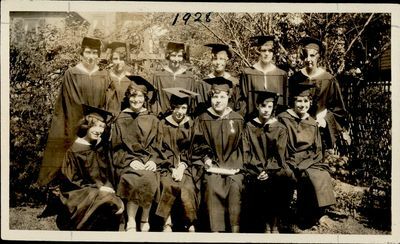 "Class of 1928 copy 1"
Twelve girls dressed in caps and gowns standing and seated outside. One girl, seated in the front and third from the right, is holding a paper of some sort. Donated by Walter E. Hurley, Sr.